Hope I can check out every blog. I love hops! I LOVE, love LOVE that card! My goals for 2013 are to find new ways to be craftier, and to update my blog more often, and to get healthy after dealing with cancer for the last couple years. OK, great stuff going on here! Your card is so eclectic! I love it! kewl card Happy New Year Thanks for the chance !!! my biggest goal is to start using my Copics more. I’ve been on a bit of a crafting break while dealing with cancer treatments, but am slowly getting back into it again. I’m reading all sorts of tutorials on the markers so I can hopefully be coloring up a storm before much longer!!! crossing fingers! eeek! Beautiful card! And I know what it is like…when I rearrange my craft stuff (or clean up) it throws off my groove for at bit! Thanks for your part int he blog hop…this is so much fun! Have a happy and safe New Year! Gorgeous project and awesome goodies!!!! Happy New Year!!!! For 2013 – I plan on making a scrapbook for each of my 10 Aunts and Uncles. We’re a military family and have been away from home for over 10 years. Embarrassing! But I want to send them our milestones! It’s my way of reconnecting with them. Thanks for the opportunity and Happy New Year! Beautiful Card, I love the stick pins. i love how you can just throw a card together and make it look fantastic! happy new year! Beautiful card. Thanks for the chance to win some goodies. Happy New Year to you and yours. Such a fabulous card – I always love your style! I’m hoping to get back to blogging on a regular basis and coloring more with my Copics. Thanks for your great giveaway! I am hoping to get more scrapbooking done this coming year and expecting to stamp my heart out as usual! Happy new year! Love your card as usual. 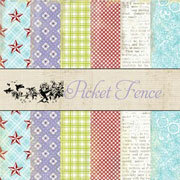 I did not know you designed the picket fence DP. It’s one of my favorites & now I know why it fits my vintage cards so well. Thanks for creating it Julia. Happy New Year and thanks for a chance to win a great giveaway. Cool card. Love how you used all different kind of elements on the card! Happy New Year! Beautiful card. Happy New Year and thanks for the chance! Happy New Year! What a beautiful card! Love how you incorporated the zipper. I have a bunch of those to use and this is a perfect idea! thank you for the chance to win some great goodies. What a great eclectic card! I so admire those who create with such random. I love your card. I’ve seen the zippers before but never used on a card. Pretty cool! Happy New Year! Beautiful card! In 2013 I hope to use up some of my stash on the cards I make. I also want to get back into making a scrapbook of my family’s year. I haven’t made one in a couple years and my siblings & I miss it. I also will be working on additional layouts for my friend’s scrapbook I made her for Christmas. I adore her sweet children. Having no grandchildren of my own, they are my babies. Happy New Year, Julia! Oh. My. Goodness. I love your card…all the elements are awesome and the color scheme is perfect! Happy New Year! Happy New Year. Great card. I love all the embellishments. My hope for 2013 is to use what I have before buying more and to step out of my comfort zone a create more detailed cards. love your zipper card – haven’t tried that yet. Hope to try a lot of new things this year that just take my fancy. Thanks for the chance to win some awesome blog candy. I want to use more chalks this year, and some mixed media. Thanks for the chance to win and the ideas. Such a pretty card! Love all the colors and details to it! 🙂 Happy New Year! Gorgeous card! Love the color combo! Happy New Year and thanks! I sooooo love your style Julia…your card is delish! Love all the layers and the embellies…the colors are awesome too! LOVE your bits and pieces card…now you make me want to run and do the same!! I hope this year to think outside of the box more, and do more then my normal cards, and do more new challenges and visit more blogs and leave more comments…have a happy new yaer!! A Happy New Year’2013 to you. Thanks for this opportunity to win. I’ve not been blogging for quite a while due to PC issues. Hope to get back soon. My goal is to start Christmas cards now! 🙂 Happy New Year! 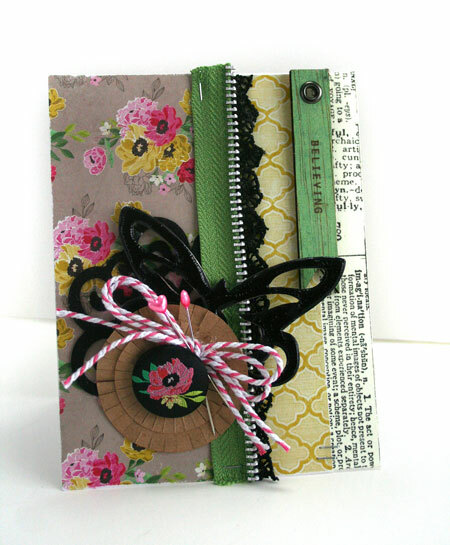 Gorgeous card and made with scraps….wow. Now that should be my goal for 2013. Thanks for the chance to win and your generosity. Happy New Year. Being a newbie, for some reason Im a bit intimidated about using embossing powder so havent attempted it yet. Read some bad mishaps by some newbies, but, am doing to attempt it this week along with brayering. Thanks for a chance to win. Happy New Year!! Such a beautiful card … and such fun goodies. Love the card and giveaway! Have a Happy New Year. Very pretty and thanks for the blog candy. Such a beautiful card, I have always admired how you pull together different embellies and papers to create gorgeous pieces of art! My goal this year is simply to create more as cardmaking has taken a huge backseat to life lately! Happy New Year. Your card is amazing. Love the colors and layering. The Maya Road butterflies are so cute. What a terrific giveaway. Thanks so much for the chance to win it. It’s amazing what you can put together with a bit of this and a bit of that! thanks for sharing your ideas and the great opportunity to win a creativity prize! a zipper? wow, what a great idea. Happy New Year! Really love your card…especially that zipper. So cool! Thanks for being part of this blog hop and starting our new year off with so much fun. Happy New Year. Wonderful card using bits and pieces! I am hoping to enter more challenges this year. What a fab card! Love your cards, always! I plan on doing more creating this year! I am starting on my first design team this year and am super excited for the opportunity to expand my crafting. Hoping to learn and grwo through it all. Happy 2013! Cool card Julia!! I think 1 thing I want to try more is layering “found” objects like you did in this card! You and others make it look so beautiful and EASY but for me not so! Practice will be my motto in my craft room this year! Happy 2013 to you!!! Happy New Year to you and your family! Hope you had a good one. I like the zipper on your card. For 2013 I’d like to make a family poster that I can frame to hang by the front door, as well as continuing to produce cards and treats for family and friends. Thanks for the chance to win! My goal is to just keep learning about coloring and more importantly proper shading techniques. I never would of thought to put a zipper on the card,what a wonderful idea! thank you for the chance to win some awesome goodies and Happy new Year! What a neat card – so many layers and textures! Great card. I’ve always loved your art. Happy New Year. Julia, thanks for all your inspiration! I learn so much from looking at others amazing creations! For Christmas I made a number of gifts and really enjoyed the process. This year I plan on focusing more on making gifts and cards as well as starting a blog to document and share my creations with a wider audience. Thanks for the chance to win and I wish for you a year of inspiration and papercrafting goodness! BEAUTIFUL card!!! I LOVE Crate paper – and this is just stunning layering!!! Happy New Year!!! I thought that was Crackle accents on that beautiful black butterfly! I love the idea of coloring and then adding crackle. Genius! I hope to use up lots of my scraps in 2013! Thanks for inviting me to visit your blog. Happy New Year! Gorgeosu card!! I love your style. Thank you so much for the chance at these fabulous goodies. Happy New Year! Love the card! Thanks for the chance to win a fun gift. Your card is just stunning and that you created it with leftover bits and pieces is just WOW!!! My goal for 2013 is to keep a cleaner craft table and to find more time to create. Thanks for a chance to win! Love the layered look…I get so afraid when I am layering that I’m putting on too much. Great inspiration! I love your zipper card. Thanks for the chance to win. Great card! Love all the layers and dimension! Happy New Year! your colors banish the grey blahs of winter in the NW! how cute! I am loving this Blog Hop and I lov your card. Have a great New Year! Awesome card, love all the design elements. Love card. Thanks for offering such an awesome prize pack. What a beautiful card..Thanks a lottt for the awesome giveaway..
My aspiration is to use up more of my bits and pieces. My crafty goal for 2013 is to finish my cruise album and my Disney album, no more procrastinating! I belong to a small paper crafting group, and our goal together is to learn more techniques…can’t wait. Thanks for the chance to win. LOVE your card! Lovin’ all the layers on there!!! Thanks for sharing. And thanks for the chance to win! Happy New Year, Julia! Love your stuff! Very different card. Thanks. Thanks for chance for the goodies. Your butterfly is awesome. I thought it was a leather or vinyl accent and it goes so well with the zipper. Thanks for sharing how you created it. I would like to spend more time creating this year, but my main goal is to organize and purge some of the things for projects that I will either never get to or are already outdated without completion. Happy New Year! What a lovely project! Happy 2013 ! Happy New Year! I want to learn new ways to use die cuts that I have. Thanks for the giveaway! Love the layers on your card!! Very pretty! Great card! That zipper trim just makes it! I love it and a great giveaway too. Thanks for the chance to win! Amazing card-such beautiful layers-adore-Thank yu for sharing it and for a chance to win such a fab prize. Happy and Blessed 2013 to you! I would have never thought of that!!! LOVING your card, I feel a CASE soming on! lol I also add as many layers as the Postal System will allow! 🙂 I find CAS cards sooooo difficult to create, but will keep trying! Happy Happy New Year! Wow! I am awed by the texture you created…the wood, the metal pin, the zipper…fabulous, just fabulous. Wow…just wow. Thanks for the chance to win such amazing treats. Happy new years to you! What a beautiful card. Thanks for a chance to win your generous giveaway package. I’m looking forward to doing different altered projects this year, in addition to my usual cards and tags. Happy New Year! Cute mixed media card! I’m enjoying the blog hop while drinking my hazelnut coffee with parades on TV in the background! My plan is to make a new technique card from each crafty mag I pick up! I’d love to give your blog candy collection a new home; thanx for both the inspiration and blog candy opp! Love your card ! All the layers and the texture are wonderful ! 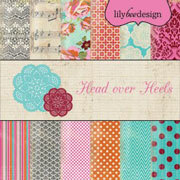 Nice color scheme and sewing themes are a favorite! Happy New Year! Love your card. Gorgeous card!!!! Thanks for the chance at your prize! Happy new year! Happy New Year! What a great card, love your way of using your leftovers. I am a firm believer of not throwing something away, there is always a use for it. I love that you used a zipper on your card! AWESOME! Love using bits and pieces. Thanks for the chance to win your fun package of goodies. Happy New Year. Great layering pieces. It is a fabulous card! Thanks for the chance to win! What a gorgeous card! 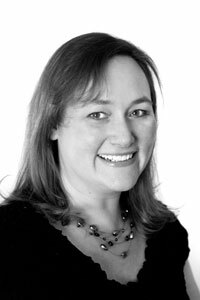 I always admire your published projects and would like to try and submit some cards for publication this year – something I’ve never done. Thanks for such an amazing giveaway! Thanks for an amazing giveaway. Happy new year to you!!! I really hope to put to use all the creative inspiration I learn from talented crafters such as yourself into my cardmaking!! What a great card you got out of these last left overs here. Really nice and what a great pack of goodies up for grabs here too, who wouldn´t love to get their handds on them. Thanks so much for the chance. Butterflies! Yeah!! Thanks for the chance to win. WAUW great card you made here. My goal for 2013 is to get more crafting time and finish a lot more projects. My 2013 plans include tiptoeing into art journaling and learning to draw, as well as cardmaking and scrapbooking which are already something I enjoy. Happy New Year! Wonderful card. I love the butterflies and the Zipper. Im inspired. I plan to do things that make me Happy this year. And crafting and creating is something that makes me happy. I want to learn alot of new things like wood carving, etching glass, and airbrushing. I also want to set more time aside for creating. I think this year, Mixed media projects will fill alot of my time. Thanks for the chance to win your great prize pack. Happy New Year!! Julia, you have very different and interesting cards. Hope you have a Great New Year! I can’t believe you made that wonderful and beautiful card from your stash of scraps!!!! Wowzer!!! Such a cute creation! Happy New Year greeting from Canada! Such a clever card. Thanks for the inspiration and the giveaway. Thanks for this amazing chance to win! Your creations are absolutely beautiful. Have a wonderful New Year! Love your card. Thank you for the chance to win such a great price!!! Thanks for a fun blog hop. I am hoping to get to some more stamp classes this year to learn some new techniques. Can’t wait! LOVE your pretty card! Thanks for the chance! What a cool card! I have been seeing lots of ideas for using zippers recently- love it! Does begging count? THis is just such a darling piece of artwork. I would love to be the winner of this prize. Love the bright greens & blacks in your cheery card…but am blown away by the half zipper! Fun surprise to the card. Thanks for sharing. Love the card. Happy New Year. Happy New Year! Your card is fabulous. My hopes for 2013 is to make more handmade! thank you! My goals for 2013 are to make more time to craft and blog. I enjoy your blog! Thanks for sharing!! Happy New Year and thanks so much for sharing such a generous giveaway! I’m working on being more organized and hopefully more productive this coming year. It was a very interesting year… God bless! Happy New Year and thank you for the chance to win. You have such a creative touch! Lots and lots of lovely things to see. Thank you for sharing and I would like to wish you a very happy new year. I definitely want to scrapbook more in 2013. I have 3 of the cutest grandkids that are so easy to scrap- I just need more time!!! Thanks for the chance, & for the inspiration! Love your card Julia, but then, I do love everything that you create. I hope to create a lot more cards this year especially birthday cards AND get them in the mail…hopefully for the recipient to receive by their birthday! Thanks for the chance at winning these wonderful goodies! Happy New Year! Great prize pack! Sweet vintage-like card! Gifting is a great idea! This year I want to be much more organized. My gifting would help. Beautiful card Julia. Your creations are always lovely. Happy New Year. What a fun card! Thanks for the chance to win! Wishing you a Happy New Year! Cute card! Thanks for the giveaway!! Great card using such a variety of materials ……. never have seen a zipper used like this. Thanks for the chance to win some wonderful blog candy. Happy New Year! What a great way to kick off the new year!! A gorgeous card Julia!! Thanks for the chance to win the yummy goodies! A Happy New Year to you! Thanks for the chance to win! Love your card! 🙂 I just hope to get more crafting time in 2013! Love your fun card! That zipper is an awesome embellishment! Thanks for your giveaway and Happy New Year! Thanks for sharing your wonderful card with us today. I love all the layers and the way you creatively used up your “bits and pieces”. Bits and pieces you found??? Amazing!! Love the zipper…who would have thought?? Thanks so much for your generosity and sharing your talent. Happy New Year! I’m new to crafting so this new year my goal is to dive right in and just create for the fun of it! Thank you for the opportunity to win! Have a wonderful new year! butterflies are my fav embelishments and they look so great. TFS. Love the giveaway thanks for the chance to win. Happy and safe New Year. Your card is great love all the different elements, thank you for sharing it and the chance to win. Happy New Year! What a clever card! I love the sewing notions…now I have to clean out my sewing box as well as my scrappy room! Thanks for sharing your creativity. Greatly appreciated. Fun card! I love the layers! Adore your beautiful card! Thanks for the chance to win your fab giveaway. Happy New Year! such lovely leftovers! very nice use of them in the card- thanks! Happy New Year! I hope to finish my son’s senior year album. Love that touch of black on the card. Thanks for sharing. I would just love to get over the loss of my mojo! Haven’t completed a project in MONTHS!! Hope this will spur me on & pump up my creative juices. Thanks for the chance to win! Happy New Year! Oh my gosh, your card was so cute. I would have never thought to use all those elements. And everything came together so wonderfully. Thanks so much for participating in this awesome hop, it’s been so much fun. My plan this year is to organize my craft room and re-purpose some things I no longer use. Someone else can enjoy them. Love this blog hop! My creative goal is to submit more often this year. Happy New Year! Love your “leftovers” layered card, Julia! Happy New Year! I like your card and love how you created your black butterfly. I love the prizes you are generously giveaway. Thank you, and wishing you a happy new year. Love what you did with the butterfly! Cute card, thanks for sharing and the chance to win your blogcandy. What a fun blog hop. Thank you for the inspiration. Happy New Year! Interesting concept for your card – great creativity!! Thanks for participating in the blog hop and for the chance to win! happy new year and thanks for the chance to win. i loved the zipper on the card – now i know what to do with my old sewing box! I love the color scheme of your pretty card! Happy New Year and thank for a chance to win! The zipper on the card was cool. Thanks for a chance to win. Who would not be interested in your awesome goodies? Great card and tfs. Love, love, Love your work & your creations. Good luck to everyone for the giveaway. 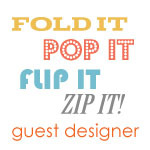 What a great idea on the blog hop, first time I have never did this but enjoying each site very much. I am a huge crafter and that is my dream to have all my crafts shown for everyone. I hope to get back to cardmaking more often! Thanks for the chance to win! your card is beautiful! I think it would be a great journal cover!!! i’d like to make more books next year! Awesome prize! Happy New Year! Thanks for a chance to win! This blog hop has been so much fun and I love all the inspiration you gals put out there. Happy 2013. Wow – another cute card, Julia! This is a great way to kick off the new year, for sure! Thanks for the generous gift and chance to win. Happy New Year – hope to “see” more of you. Happy New Year – thanks for the giveaway! very lovely card! I plan to make altered frame projects for my family home, gift and boys. Beautiful card! Happy New Year!!! Wow. You are so generous! Thanks for the opportunity to win! Thanks for such a great prize package and the chance to win! Happy New Year! I simply want to finish some scrapbooks. This is such a sweet idea! Thank you. Beautiful card! I’m amazed what you created with “scraps”. An awesome giveaway, too! I’ve never seen a zipper used on a project like this before, but it works! Thanks for being a part of this hop. Enjoyed visiting your site. Happy New Year! Wow… your card is filled with interesting and wonderful layers! Fun card and what a way to use up your stash. Thanks for giving me the chance to win such a wonderful prize package. Happy New Year! Adorable card – love the colors! Thanks for the opportunity to win! Happy New Year. Thank you for the chance to win. Thanks for sharing your card. I’m not one to use that many layers, but you pulled it altogether so nicely I’m almost tempted to try it myself. Maybe that should be my goal – to do a card with at least 6 layers. Terrific card you’ve created too..love that single zipper half! I think I even have some of those around somewhere! LOL!! Wow can’t believe you made that awesome card from bits and pieces you found cleaning up your room! Awesome blog candy, thanks so much for the chance to win! Happy New Year! Thanks for the chance to win a great giveaway! Happy New Year! Thank you for the chance to win all those goodies! Happy New Year! Absolutely love the butterfly on your card-(and the whole card)–thanks so much for the goodies and I hope you have a Wonderful New Year! What a great combination of products you used for your unique card. The prize package would be a nice way to start 2013. What a great way to use up left overs. That zipper really says it all. If only my scraps would layer up as nicely as yours do! Thanks for sharing and for offering such a wonderful give away! What an amazing card! Love all those layers! This year I plan to work on my CAS style. 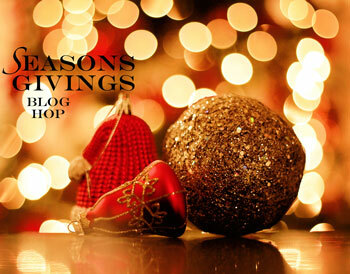 Thanks for your generosity by participating in this incredible blog hop! Love your blog…always a sure fire way to put a smile on my face! happy newyear and such a fun hop! Fantastic card! happy new year! Thank you for your generosity in providing such awesome giveaway items and participating in this blog hop. Wishing you a great 2013! Welcome 2013! And what a way to welcome the new year – this is an awesome blog hop! Thanks for the opportunity to win such cool giveaways! Love your card! Thanks for the giveaway! in 2013 i hope to catch up on scrapbooking over 300 photos of my 3 year old granddaughter and her family. thanks for a chance to win the great blog candy. I can never have too many butterflies. Love them. Happy New Year to all. Nice job!! Happy New Year!!! I love your layering ideas!!! These treats can’t be beat! Thanks for the chance to win! WOW what a blog hop and a half!!! Can’t wait to see what the next contributor has!! What a fun blog hop…and many chances to win some wonderful prizes! Thank you for your generousity! What a wonderful card. For the new year I hope to get published. Think your butterfly turned out great and so did your card. Very nice job. Thanks for participating in the blog hop and for the wonderful prize. I aim to craft at least a bit every day this year! LOVE your card! The black butterfly is a nice touch! I am going to try to scrap the tons of Christmas and Halloween pics of my kids that we have taken over the years! There is a lot, the girls are 22 and 21 yrs old! Wish me luck! Happy New Year to you! What a clever card! I love that crackled butterfly and the zipper is a great touch. Thanks for being so generous, and I hope 2013 is full of blessings! I love your assorted-bits-and-bobs creations. What a generous giveaway. These blog hops are always fun because they give me so many good ideas, introduce me to new products and, most of all, feature some of the best designers around. All the best in 2013! Nice card! Thank u for the giveaway!Happy new year! I love your clean off the desk card. 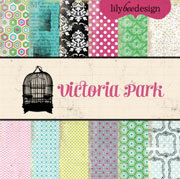 I’m looking forward to more layouts, more cards, more fun in my scrap studio. Love your card. Happy 2013! Absolutely awesome card! I love all those wonderful elements you’ve added. So much texture – love it! This hop is a fantastic way to start the new year, happy hopping! My goal for 2013 is to make better use of my crafting time! Wonderful card – thanks for the chance to win! I love all the elements and layers on this card. It is lovely! Most awesome card full of wonderful colors and textures…love it! Mahalo for sharing, Hauoli Makahiki Hou, Happy New Year! Awesome card, love the half zipper. Love your fun card with al the elements and the use of the zip is great. Happy New Year. Happy New Year and thank you for the chance to win some awesome goodies. In 2013 I would like to learn more about color and color combinations. Great blog hop. Wonderful way to start the new year and inspiring. I am going to be making lots of cards to donate to a shelter this year, Thank you for the opportunity. Awesome giveaway…may God bless you and yours in 2013. Nice! Love it! Got to have it! Happy New Year! Love the card so different and with lots of interesting detail. What a beautiful Spring card! Love the colors and your butterfly. Happy New Year Julia!! Happy New Year and thanks for the chance to win a wonderful prize! I am new to all of this and I am soaking it up like a sponge. I have been having so much fun learning from all of you. So I really do want to thank everyone of you for teaching me new things. I do look forward to learning much more through the New Year. What a fantastic card! I love how all the layers work together so well! Great job and great inspiration! Thanks for sharing and thanks for a great idea!! 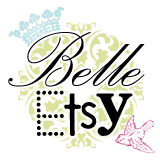 Love the blog hopping for more great projects and ideas!! Happy New 2013! You are very creative! Thank you for the chance to win. Happy New Year! and thank you for the chance to win! Your work is awesome. Keep it up! Love your card. Have a Happy New Year and thanks for the chance to win. That card was great! I loved how you were able to use your scraps to create such a great card! Thanks for the chance to win! Thanks for the nice give-aways! I love making cards and enjoy getting inspiration and ideas from your blog. Thank you! Happy New Year! I love what you came up with on your card from your craft stash! I’m going to have to pick up some of that crackle paint now. I wasn’t sure if I’d use crackle paint or not, but your butterfly convinced me that I NEED some. LOL Thanks for joining this blog hop and the chance to win a terrific prize. I never thought of putting a zipper on a card but it is cute! I wish I could come up with such creative work. What an inspiration! TFS and happy new year! Lovely card! My goal for 2012 is to find the time to experiment with new techniqus and materials. TY for the chance to win your generous giveaway. Very pretty card. Wishing you a New Year filled with much happiness. Thanks for the chance to win. My goal in 2013 is to get in our new home and have a stamp room that I can get back to creating!! Thanks for the chance to win! thank you for the chance to win! what a great blog hop! it’s nice to see all the blogs that are involved! Thanks for this lovely giveaway. Happy New Year! Great card. Happy New Year & thanks for the chance to win. Happy New Year and thank you for a chance to win! Thanks, so much for being a part of this great blog hop. I love this!! Wishing you a fabulous creative year too. thanks for the chance to win. LOVE your cards– the delicious and surprising layers are a delight! With wishes for a very safe, happy and creative new year to you, and many thanks for your generous part in this fantastic bloghop! Gorgeous card!!! Happy New Year and Thanks for sharing! Pretty card! Thanks for the chance! Thank you for the Hop and giveaway. very pretty card! great blog hop! What a great card…I love all the texture and dimension! Thank you so much for sharing your inspiration with us, and for a chance to win some wonderful blog candy! Happy New Year!!! Beautiful card. Such a generous giveaway! Thanks for the chance to win! Great card! I love the layering of all the elements. 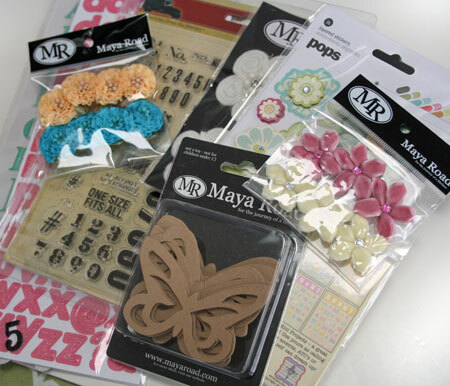 Thanks for the chance to win some fab crafting supplies. Totally Unique Card + Fantastic Blog Hop + Stupendous Prize Package = Happy Stamper!! Thanks for the opportunity to win!! I love the card, especially the butterfly! I plan on creating an art journal this year. Happy 2013! Happy New Year! Great blog prize! Super neat! Very nice card…Love it. Awesome prize pack. Thanks for the chance to win. Such a feminine card. Thanks for the blog hop and give-away! Happy New Year Julia! What a great idea to create a card from scraps and leftovers. I need to work on my craft space as well. Thanks for sharing and for the opportunity to win some great prizes! Your card is absolutely stunning! I love all the layers and the colors are gorgeous. Thanks for the giveaway and Happy New Year! What a fun hop! Your project + an amazing give-away = FANTASTIC+++! Thank you for such an awesome opportunity. Wonderful start to 2013! Thank you for sharing the inspirational blog! Love the cards you have shared! Looks like a giveaway I’d like to win! Thanks for the opportunity! love you card, it’s beautiful. Happy New Year! Great lovely layered card you created for us. Thanks for being in the hop. You are so talented – I am in awe of what you did with leftovers. Happy new year! Very pretty card. Love the way you used the zipper. Thanks for the great giveaway and a chance to win it. Happy New Years!!! Thanks for the giveaway! Happy New Year! What a wonderful way to start the new year! fabulous card/// love all the details! I just want to get back to scrapbooking – basic layouts, no fancy stuff…just get the info down. Thanks so much for the chance to win! Happy New Year!!! Thanks for all the fun candy. love all the texture and layering. thank you for sharing and a chance to win those wonderful goodies. Great prize package. I love the zipper on the card! Thanks for the chance to win. Wow. I like the chipboard embellishment you made. Thank you for the chance to win. Happy New Year! What a gorgeous card, Julia! 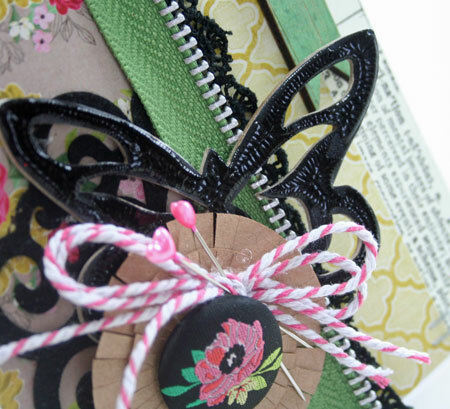 Love those chipboard butterflies ~ so many possibilities. Looking forward to being better organized in my stamp room and spending more time in there crafting. Thanks for the chance to win your blog candy. Happy New Year! Thank you for your generosity. Have a happy and crafty new year! Oh your card is breathtaking…so romantic and colorful! WOW! The goodies in your stash to giveaway looks fun too, would love to get my hands on some of those flowers! Happy New Year! Love the hop! I would like to do more scrapping this year as I usually make cards. Such a fun way to begin the year–Happy New Year! Love the card, thanks for sharing and participating. Happy New Year. That is what I need to do is clean my craft room so I have room for more stuff! Thanks for a chance to win some great prizes! Love the use of a zipper. I am a sewer too. What a great idea to use on cards to my sewing buddies. I LOVE that you used a zipper on this!! It gives it such a cool look! And I love that you used your copics to colour the butterfly! One more use discovered for my copics!! I love the way your card came together!! Fun blog! I love your card!!! Thank you so much for the chance to win this awesome giveaway!! Very clever use of the zipper! Im in the midst of the “craft room cleaning” right now and it does feel good to get everything back in its place. You have inspired me to make cards from all my scraps! I’m loving the zipper trend!!! Thanks for hosting in this FAB blog hop! Great giveaway! Happy New Year! Thanks. What a cool way to mix and match textures and embellis – awesome job! Love the zipper … I know I have a stash of them somewhere..now to put them to use! This year there have been a lot of changes in my life, new state, new home, new job, etc. Didn’t have much time to craft but this year will be another story. I have a new craftroom and plan to spend alot of time there. Thanks for the chance to win. What a fascinating card–Love the textures! I am going to try to do some submitting of cards this year for a goal! Thanks for the giveaway! Beautiful card. I love how you used the zipper and your butterfly. I am such a sucker for butterflies, and this card is gorgeous! Thanks for sharing. Happy New Year!! Thanks so much for this great hop. Love all the layers on your card. Thanks for the chance to win a great prize package. Interested, raising hand! Thanks for the chance to win! Happy New Year! You mentioned getting your stamping area cleaned up made me realize how much my space needs a little TLC too. Love your card and the colors you used and it amazes me how some poeple can put together a pretty card using bits and pieces of scraps. What an amazing giveaway! Thank you for the chance to win! Happy New Year!! Lovely card and I agree with you on your butterfly. Happy New Year blessings to you and thank you for the chance to win you scrumptious candy! So excited to have been introduced to your blog! Happy New Year! Love your card!! Will put this on my list because my resolution this year is to work outside my comfort zone. Thanks for the inspiring idea and the chance to win such yummy candy!! Happy New Year! I plan to clean up my crafting area and start scrapbooking again! Wouldn’t that be nice? Thanks for the chance to win! My crafty goal is to make one card a week. That will be a huge stretch, but I am hoping to get it done. I get the blessing though of not officially starting my own “new year” until my birthday in mid January! For now my craft table is cleaned off and ready to start! I’m new here and really enjoying this awesome blog hop and generous give aways! Thanks for the chance to win. Have a very happy 2013! Such a pretty card! I love the texture that the crackle adds. Thanks for the generous offer! Thanks for the crackled Accents reminder-great product and love how it looks on your card! thank you for your generous giveaway. this year i’m looking forward to crafting more with the nestabilities and my cuttlebug. i’ve had my cuttlebug for awhile now but just got my first set of nestabilities recently. I am new to stamping, so I want to try so many things! Distress ink is on the top of the list right now. Thanks for the great giveaway. Hope you have a wonderful new year! Great card. I love the choices you used. Hope your New Years was great. Thanks.